A fantastic deal on a basic mic clip. 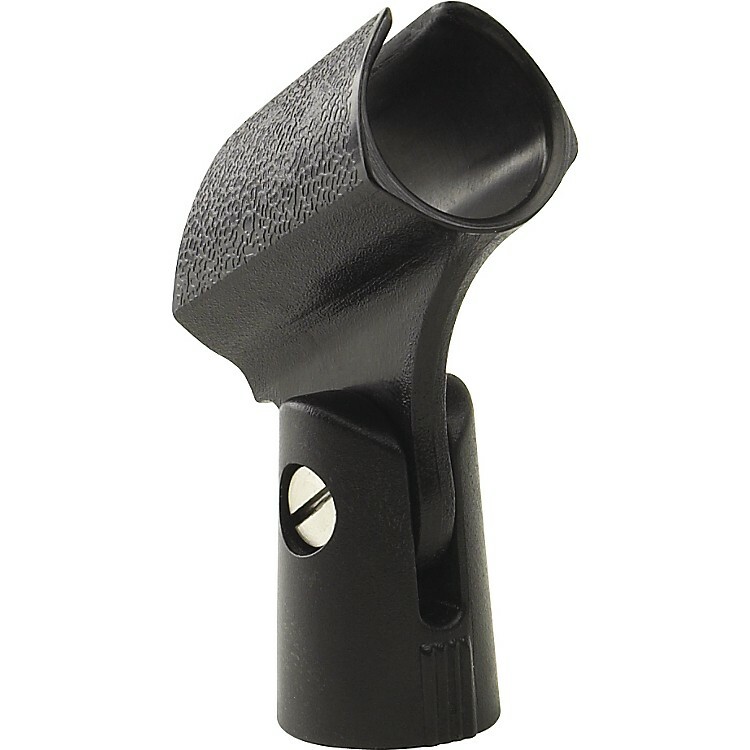 Standard Microphone Clip with plastic mic swivel retainer holds your microphone securely. 5/8" female threaded insert in base. Black. Order this quality mic clip today!